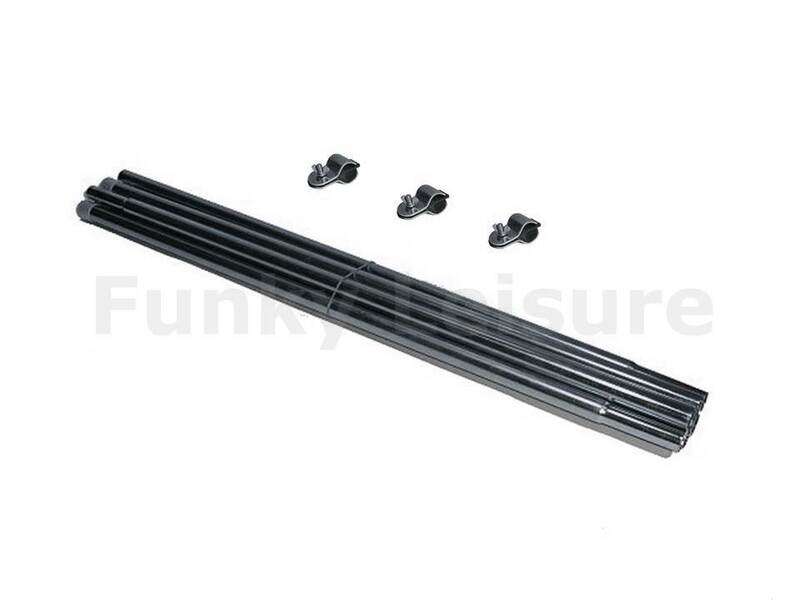 This Vango AirBeam Awning Pole & Clamp Drive-Away Kit can be used with all models of Vango awnings as well as Kampa, Outdoor Revolution, Zempire and Khyam drive-away awnings. 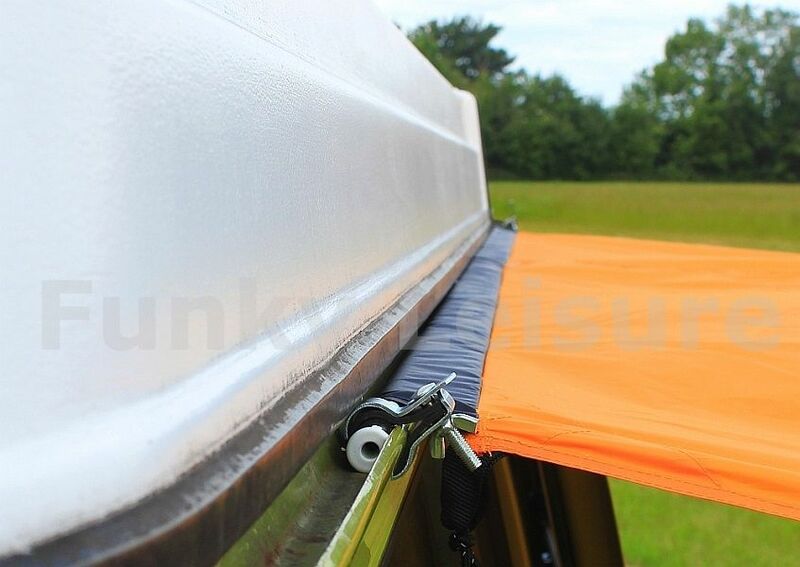 Use this drive away kit to attach an awning or sun canopy to the roof gutter rail of a VW camper van T2 Splitty, Bay, T25 or Brazilian. 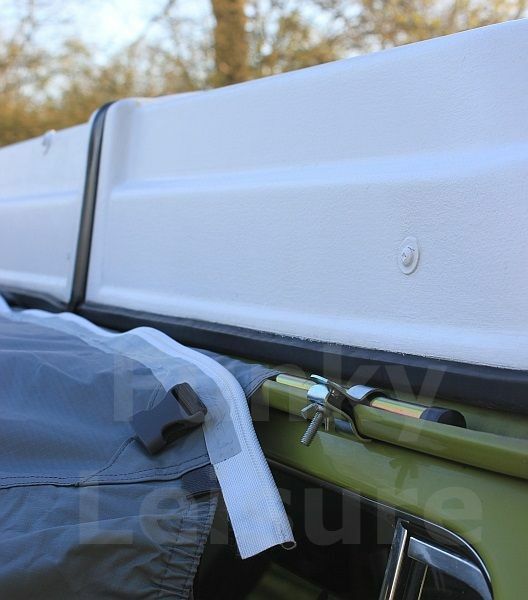 To attach to early VW camper vans with roof gutter rails - simply slide the pole through the awning tunnel pole sleeve and locate in the roof gutter rail, the exposed pole can then be secured at each end and middle with the pole clamps. The pole and clamp kit can also be used as a quick attachment method with a VW T4, T5 or T6 fitted with a VW or Reimo Multi-rail. The pole slides through the awning tunnel pole sleeve and sits in the top of the multi-rail, the bottom part of the clamps hook into the rails C channel, one at each end and one in the middle fabric cut out.